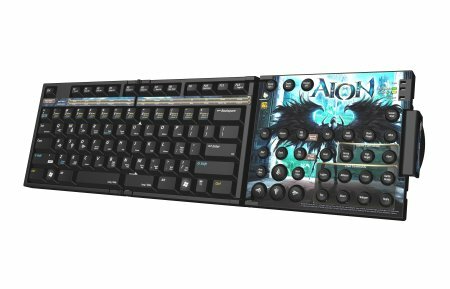 SteelSeries, a game peripheral and accessories manufacturer, has introdueced its Zboard Limited Edition Aion Keyset that offers customized functionality and original artwork from the game while allowing one to fully immerse themselves in Aion’s world of Atreia with greater ease thanks to specially assigned controls. The SteelSeries Zboard Limited Edition Aion Keyset will come with the entire range of in-game commands for easy access, coming in color-coded keys across the board. Apart from that, the keyset also offers the option of full customization for each key using the SteelSeries Z Engine and quick access to emoticon keys. Gone are the good old days of programming key binds in Quake, eh? The SteelSeries Zboard Limited Edition Aion Keyset will retail for $19.99.